Restored and renovated historic year round home or cottage with lots of charm on peaceful Long Line Lake, conveniently located between Baysville & Dorset. Three bedrooms + third floor finished loft area. Loft would make an ideal artist's studio or writer's retreat. 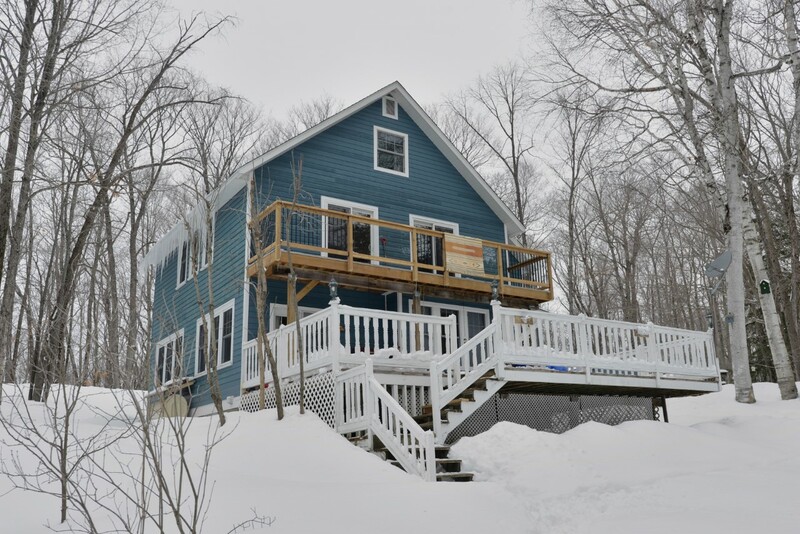 Main floor has an open concept dining/kitchen/living area with unobstructed views, lots of windows & walk-out to a huge deck overlooking lake. Fireplace in living room is arch-shaped locally sourced granite and quartz with insert. 2 piece powder room on main floor, 2 piece water closet + unique 3 piece with sunken soaker tub on 2nd floor. Spacious wide balcony off 2nd floor bedrooms. Shoreline is hard packed sand, shallow to deeper water & offers excellent swimming. Long Line Lake is about 1/2 mile wide and 1 1/2 miles long. This property would be ideal for someone who would like affordable year-round living on a beautiful clean, quiet lake. There are no buildings in sight when looking across the lake. Shows very nicely.